Zhanjiang Kenly Electrical Appliance Co., Ltd.
* Capacity:1.0L/1.2L/1.8L/2.2L/2.8L * Power:400W/500W/700W/900W/1000W * Non-stick inner port and aluminum inner port provide * Measuring cup, meal spoon and glass lid provide * Different powercord for you choose. Kufu Electric Appliances Co., Ltd.
rice cooker/electric rice cooker/best rice cooke Description Product Name: Multifunction Cooker Panel: Spray Display: 6 Number Digital Voltage: 110V / 220~240V, 50/60Hz Certification: CE, ROHS, CB, UL, CCC Color Available: Silver / White. Features 1.Moveable steam outlet. easy to clean; 2.Stainless steel housing , top-grade; 3.15 hours 55 min preset & 24 hours keep warm; 4.Cooking time setting; 5.Automatic overheating cut-off protection system; 6.High quality non-stick inner pot; 7.Healthy coating. Accessories : steamer , spoon,scoop , measuring cup. Package Method of Packing: 4PCS/CTN G.B Size: 4L: 30*30*30CM 5L: 30*30*32CM 6L: 30*30*34CM Loading Qty: 4L: 20ft-1000pcs 40ft-2000pcs 40hq--2200pcs 5L: 20ft-900pcs 40ft-1800pcs 40hq--2000pcs 6L: 20ft-8500pcs 40ft-1700pcs 40hq--1900pcs. Short on time? 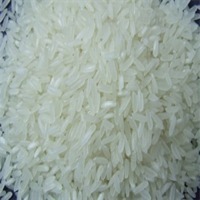 Let rice-cookers sellers contact you. Shunde Kufu Electric Appliances Co., Ltd.
Zhanjiang Hengguan Electric Appliances Co., Ltd.
Rice cooker -Traditional mechanic contol,simplify the control -Jiggle switch and be sensitive to one key enough -One key cotrol to cook rice and keep warm automatily -Inner pot material is avigation alloy,firm and durable use non-stick coating -24hrs imitating firewood cubic heat electric rice cooker and keep freshnes wholly with sealed tiny pressure structure to avoid overflowing. Multifunction cooker / multi cooker / multi chef This item is our new item , it's nice design and high-grade tastes will fit your need very well ! It's not only with the most fashionable design ---Japanese and Korea newest outlook , but also with multi-function : RICE , FRY ,BAKE , PASTA ,CAKE ,STEW , STEAM , POACH , SOUP ,REHEAT, QUICK COOK , SLOW COOK, CRISPY RICE , PORRIDGE . 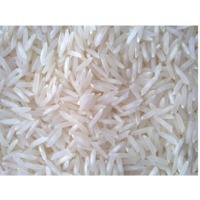 CRUST , ORDER For OEM orders , customer can choose any 8 above functions which fit for your own country's need . Except those kinds of functions , it also with lots of feature : 1, nice housing , easy to clean . 2, large steam outlet , control panel , big display 3, preset double memory 4,detachable inner lid , easy to take off and clean in the water 5,24 hours preset 6,24 hours keep warm 7.cooking time setting 8.Power-off memory 9.Automatic overheating cut-off protection system 10.High quality non-stick inner pot. HEALTHY coating . Accessories : steamer , spoon,scoop , measuring cup. Package N.W/G.W: 4KG/5KG G.B Size: 39*29*29CM Method of Packing: 2PCS/CTN Loading Qty: 20FT-720PCS, 40FT-1500PCS, 40HQ-1700PCS MOQ: 720PCS. micro computer rice cooker / intelligent cooker This item is our new item , it's nice design and high-grade tastes will fit your need very well ! It's not only with the most fashionable design ---Japanese and Korea newest outlook , but also with multi-function : RICE , FRY ,BAKE , PASTA ,CAKE ,STEW , STEAM , POACH , SOUP ,REHEAT, QUICK COOK , SLOW COOK, CRISPY RICE , PORRIDGE . CRUST , ORDER For OEM orders , customer can choose any 8 above functions which fit for your own country's need . Except those kinds of functions , it also with lots of feature : 1, Nice housing , easy to clean . 2, Large steam outlet , control panel , big display 3, Preset double memory 4, Detachable inner lid , easy to take off and clean in the water 5,24 hours preset 6,24 hours keep warm 7.Cooking time setting 8.Power-off memory 9.Automatic overheating cut-off protection system 10.High quality non-stick inner pot. HEALTHY coating . Accessories : steamer , spoon,scoop , measuring cup. Package N.W/G.W: 4KG/5KG G.B Size: 39*30*30CM Method of Packing: 2PCS/CTN Loading Qty: 20FT-720PCS, 40FT-1500PCS, 40HQ-1700PCS MOQ: 720PCS.